'Purpurea' also bears orange or crimson flowers but pairs them to violet foliage. Bold-leaved perennial with flowers from summer to frost. Casually shaped five-petal flowers to 5 inches wide held above the foliage on tall stems. Flowers may be bright red, soft orange. Adds a tropical look to the landscape. 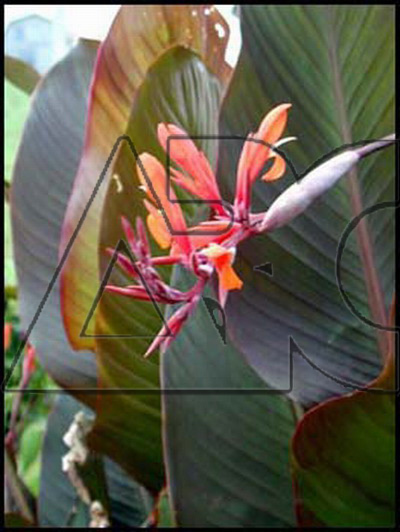 Large leaves (up to 2 feet) are dark purple. Effective in mass plantings or containers. Very easy to grow.